This sponsored post is part of the Makobi Scribe Mother's Day #giveaway event - I received compensation for this post. IT’S TIME TO TREAT YOUR TASTE BUDS… SPRING INTO A NEW SNACK ROUTINE! 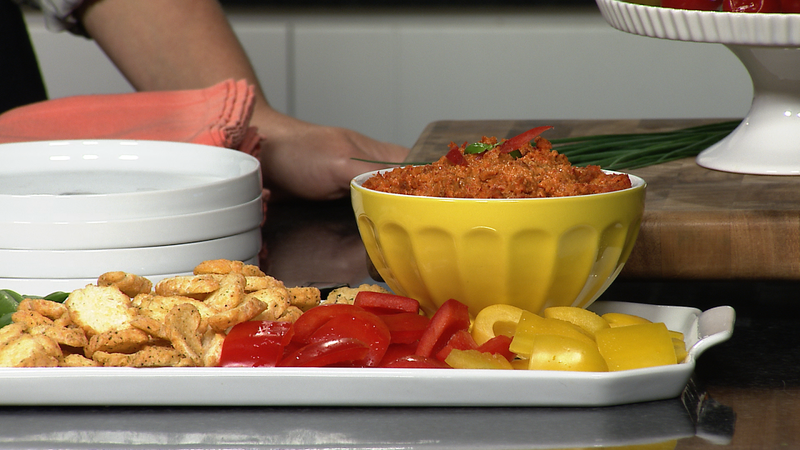 CHEF & COOKBOOK AUTHOR GABY DALKIN SHARES RECIPES TO TWIST UP SNACK TIME! Twistos has also furnished a prize package that will be great for Moms on the Go! GIVEAWAY: The on-the-go kit includes an insulated lunch bag with cooler pack, filtered water bottle, dunk-n-dip snack container, smart planet collapsible lunch container and (6) bags of Twistos. 60-90 seconds until smooth. Taste and season with salt and pepper as needed. 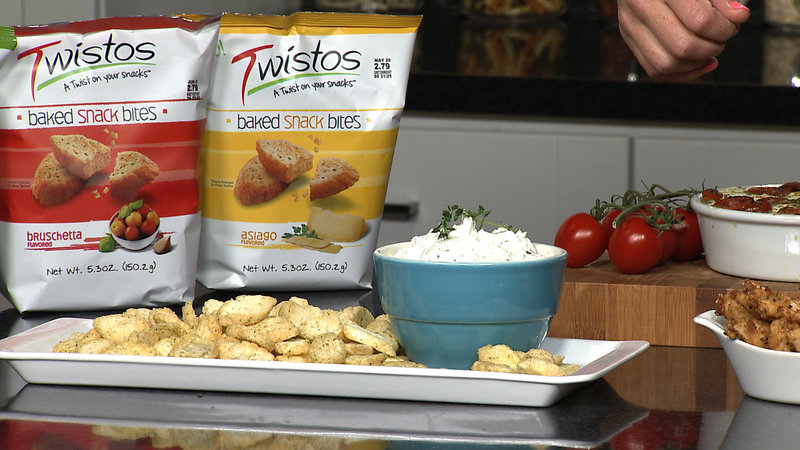 Serve with TWISTOS Parmesan & Garlic Flavored Baked Snack Bites. Baked Snack Bites until pulverized.